Say moshimoshi to Subaru’s Advanced Tourer Concept, which is getting unveiled at the 2011 Tokyo motor show alongside the long-awaited BRZ coupe. And, according the chaps in Ōta, the hybrid boxer-engined show car’s giving us a ruddy good insight into the replacement for the hoary but marvellous Legacy. It’s strikingly similar proportions suggest plenty of truth in the claim, too. This is a Very Good Thing. Just look at it! A GT-R-like rear shrug, a cool wobbly spoiler and gently Art Deco wood banding. But we also discovered that there’s some interesting tech on board, chiefly the downsized boxer engine. As well as being shackled to a single electric motor, the petrol’s been downsized and now uses direct fuel injection. It’s also got a high-pressure turbocharger, which Subaru reckons will allow the current crop of 2.5 and 2.0-litre engines to shrink to an awfully small 1600cc. No official figures have crept out, but engineers reckon it can be tuned to rub shoulders with the 262bhp 2.5-litre turbo once the boost from its hybrid’s accounted for. Not bad. The bad bit is that the Advanced Tourer’s blown 1.6 runs through one of those Lineartronic CVT transmissions. On the plus side – and as you’d expect from Subaru – it powers all four wheels. There is, of course, lots of pie-in-the-sky tech flagellation. The main offender’s a digital monitor built into the steering wheel that display maps, TV and internet services. Which sounds tremendously dangerous. To make up for it, it incorporates Subaru’s new EyeSight crash avoidance system – two cameras mounted above the rear-view mirror monitor traffic conditions and detect pedestrians and cyclists. Safe. We’ll have to wait till November 30 for more details. Instead, Subaru engineers will develop their own hybrid system. Unlike Toyota’s HSD, Subaru’s system will be based on a mild system like those used by Honda and General Motors. Although that means Subaru’s hybrid vehicles won’t be able to operate in electric only mode, they will use a small electric motor to aid in vehicle acceleration which will boost overall fuel economy. Subaru 2012 XV crossover – Mid Hudson Subaru – Subaru Hybrid ? 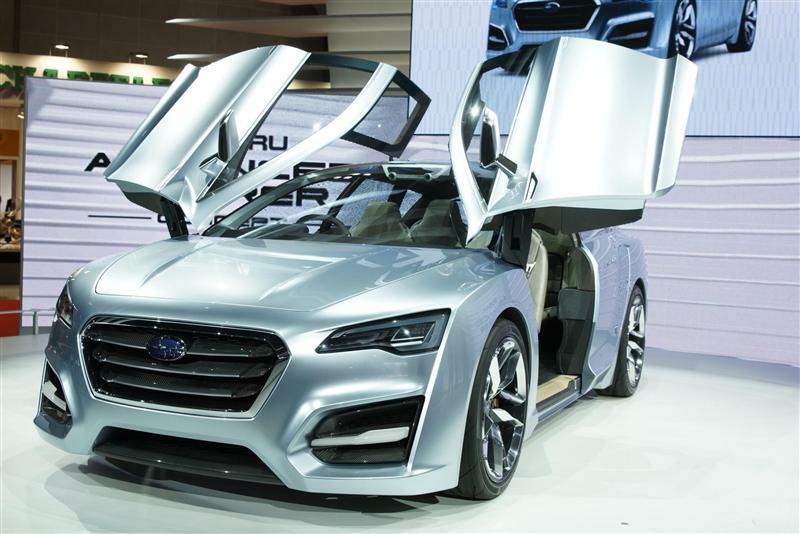 Subaru sure does have some big plans for this year’s Frankfurt Motor Show. Not only is it showing a “technology concept” to preview the BRZ rear-drive coupe it’s developing withToyota, but the Japanese automaker is also set to unveil the XV crossover there, as well. 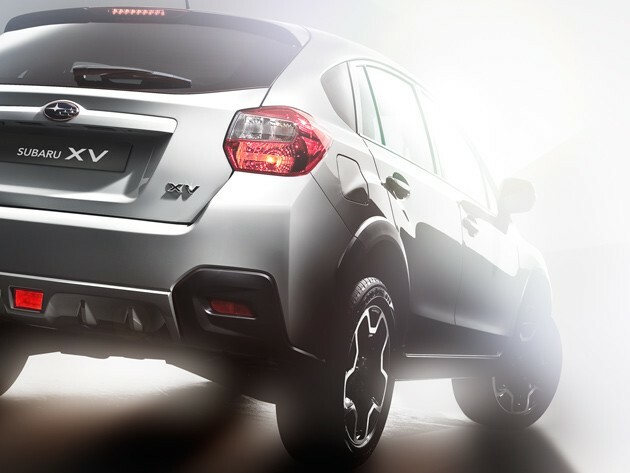 Previewed by the XV concept unveiled in Shanghai a few months ago and the rudimentary sketch from earlier in August, the new crossover is essentially a high-riding Impreza that’s a further extension of the Outback Sport. Considering how imprezive that vehicle can be – particularly in WRX or STi trim – that could prove a good thing. We’ll reserve judgement until the vehicle’s unveiling, but in the meantime Fuji Heavy has hit us with the teaser image above to keep our interests piqued.